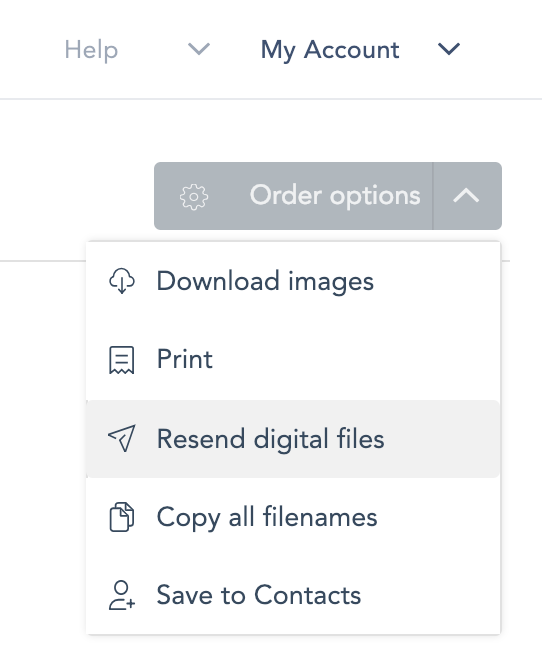 If for some reason your client does not receive their purchased digital files, here is how you can re-send them instantly. If a digital order for some reason does not reach your client, re-sending them the files they order can be done with just the push of a button! To re-send a client their Digital files, navigate to your client's order details by clicking on “Store” at the top, then “Orders”, and then click on the “Orders Detail” icon which is right next to the Order Total. After clicking the icon, go to “Order Options” at the top right corner. Select the Resend digital files option and everything will be delivered again to your client. Can I Digitally Deliver Just One Image to Someone?